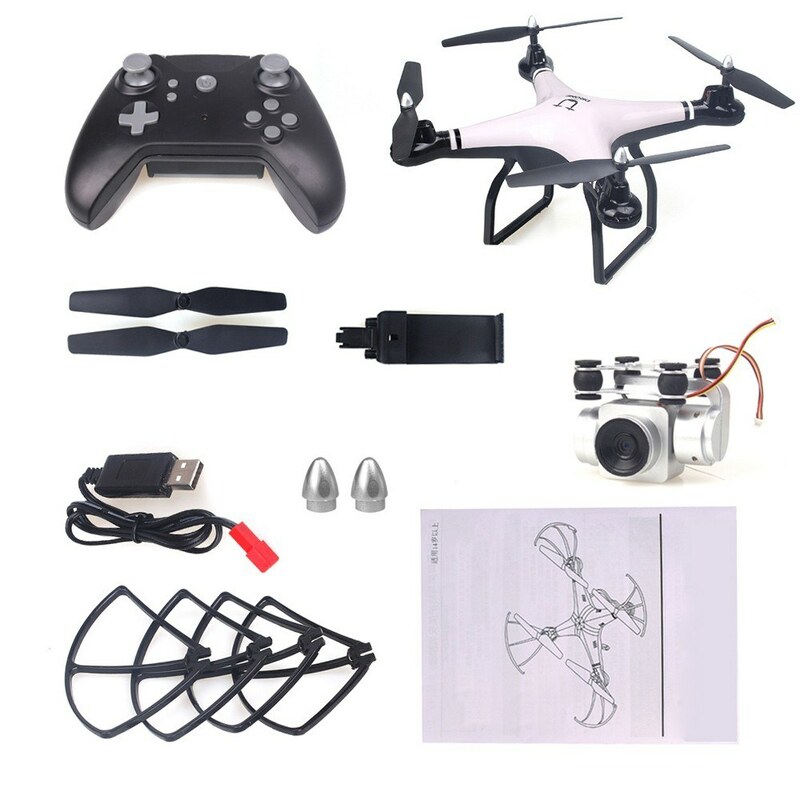 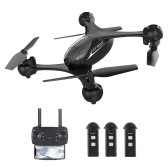 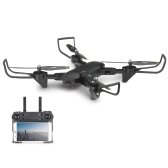 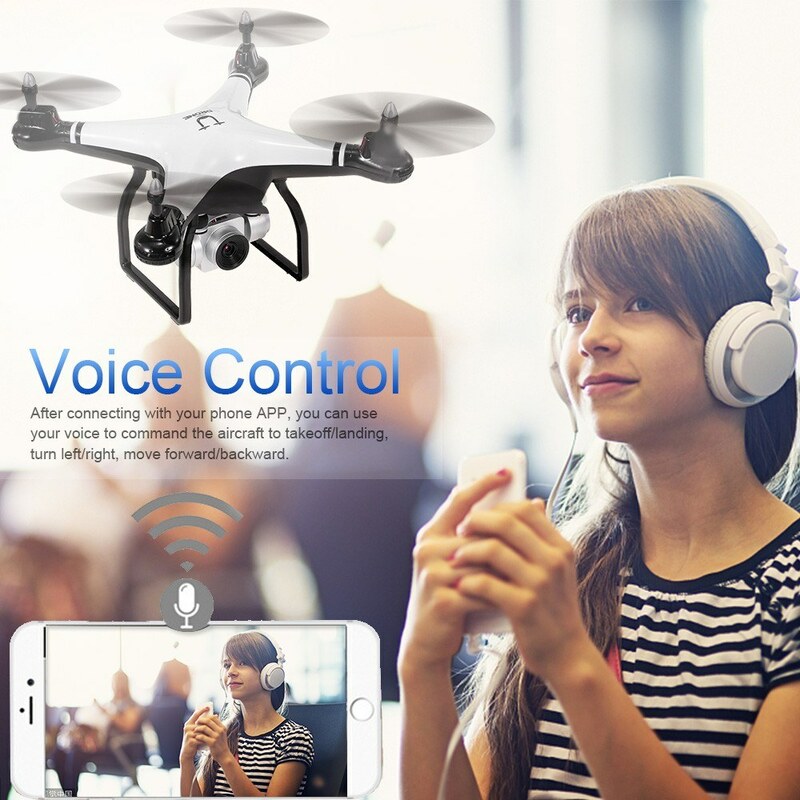 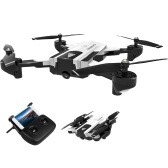 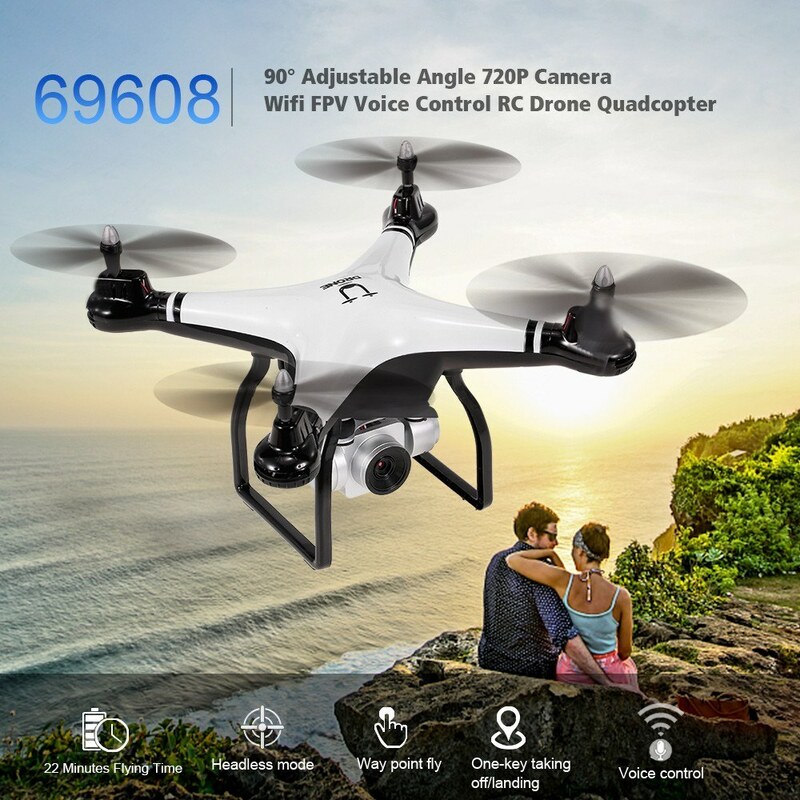 69608 RC Quadcopter comes into your eyes, the 90° adjustable angle 720P camera enables you to take clear pictures and videos. 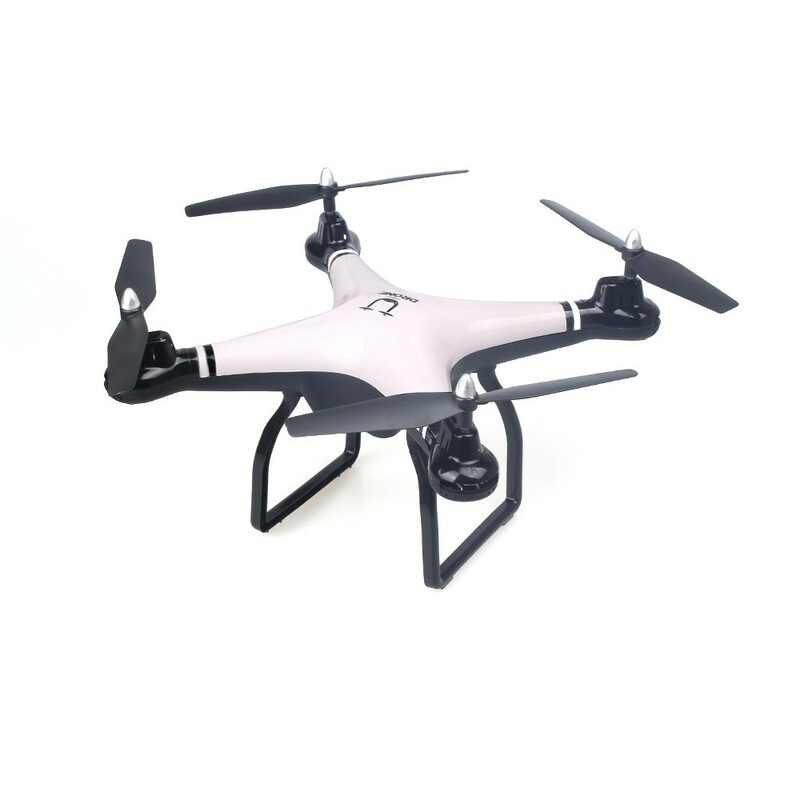 The new drone has designed excellent performance, such as one key return, headless mode, altitude hold, 3D flips and so on. 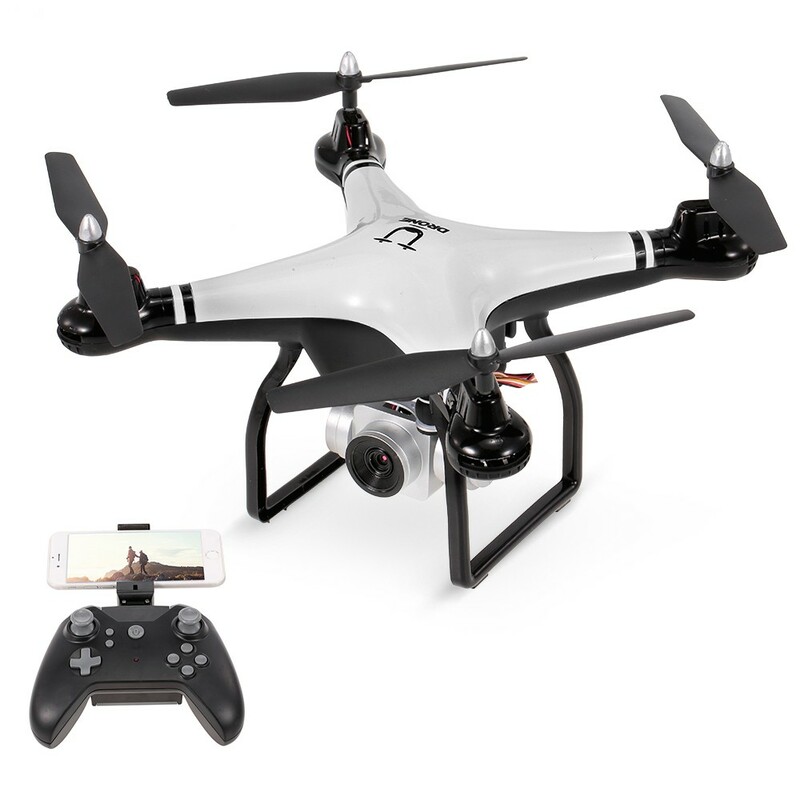 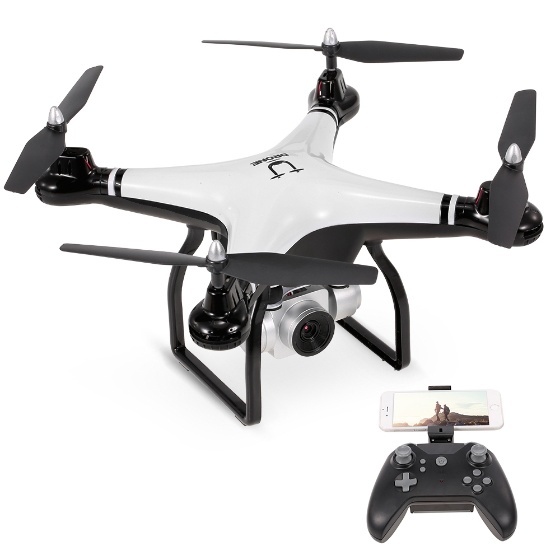 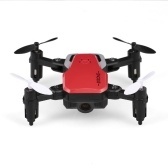 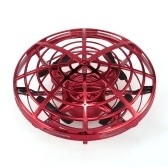 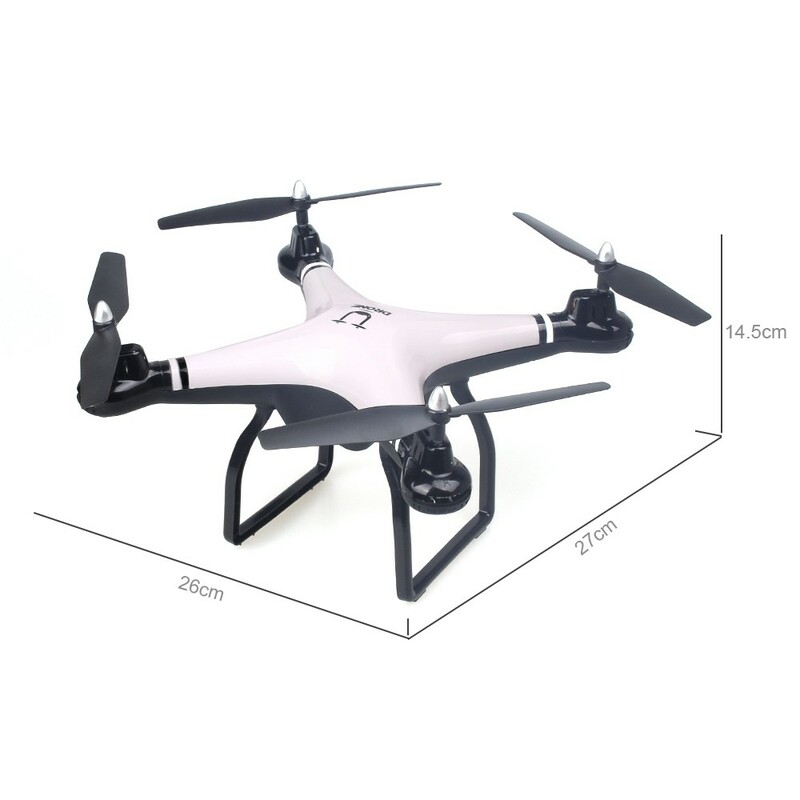 It will bring you more fun when you flying this cool drone. 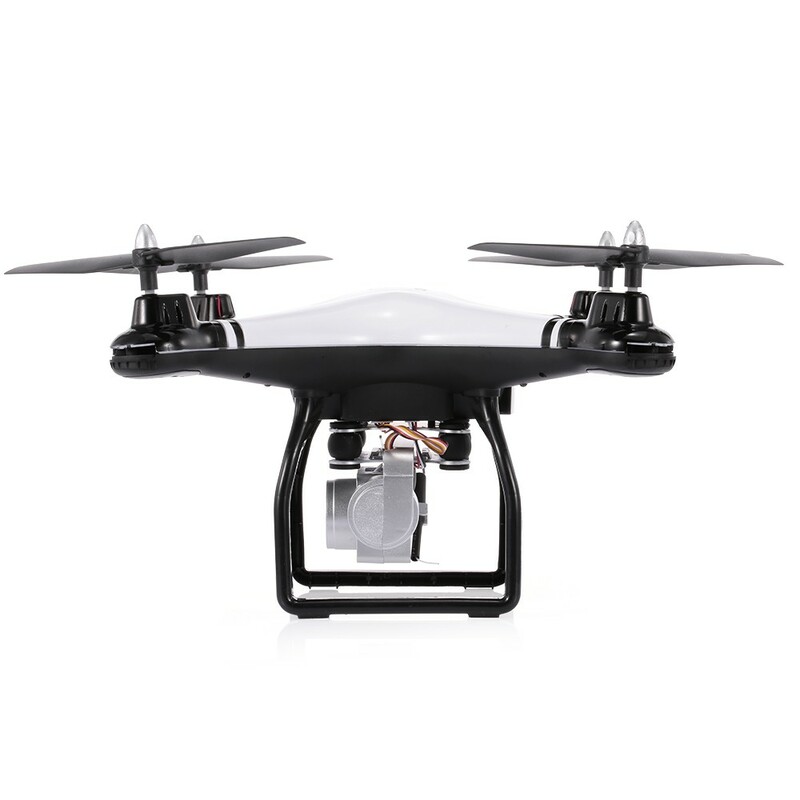 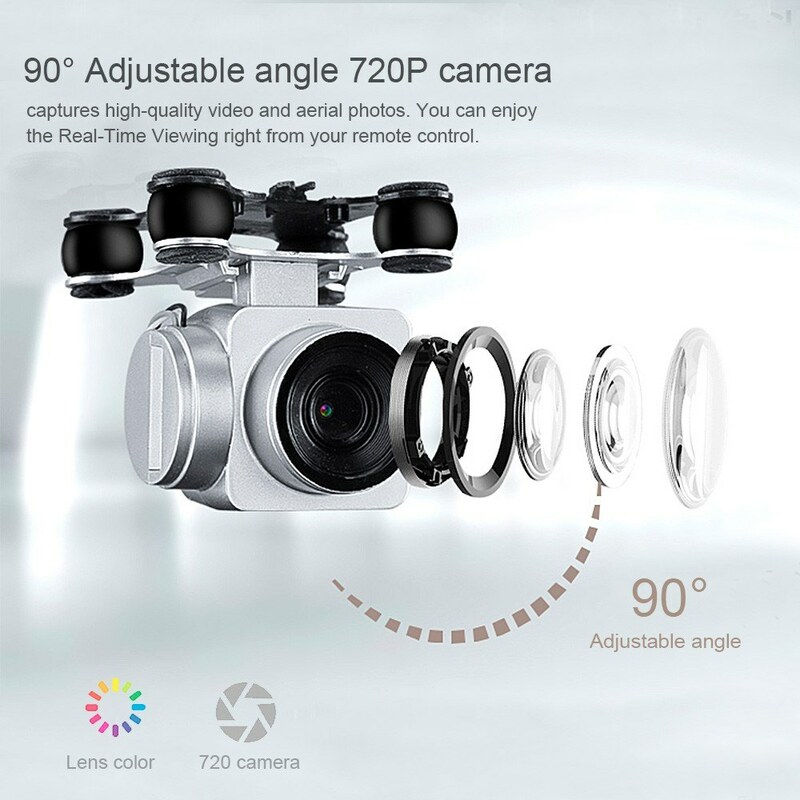 90° Adjustable angle 720P camera, captures high-quality video and aerial photos. 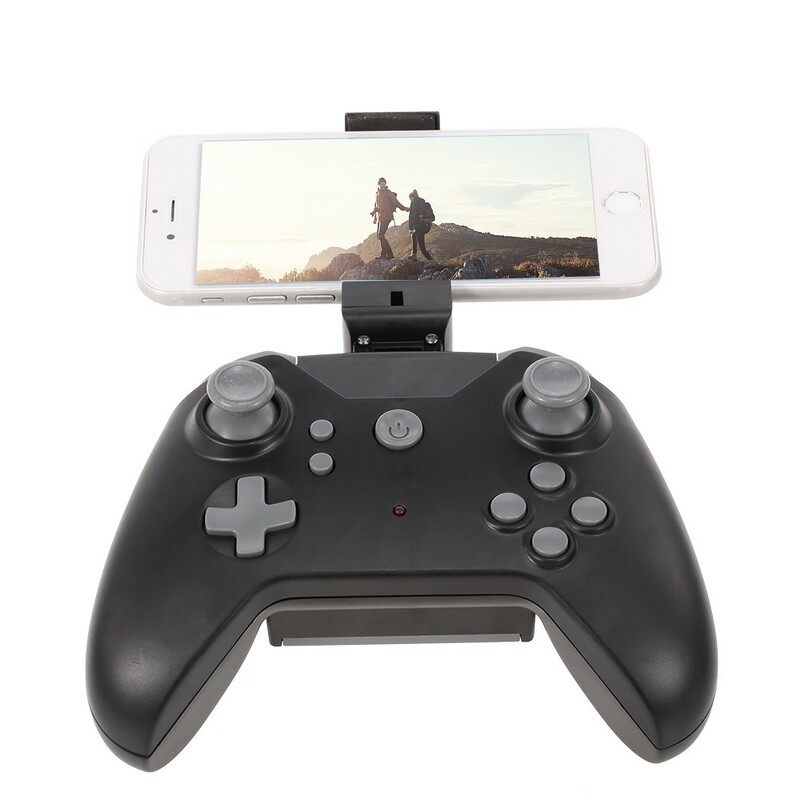 You can enjoy the Real-Time Viewing right from your remote control. 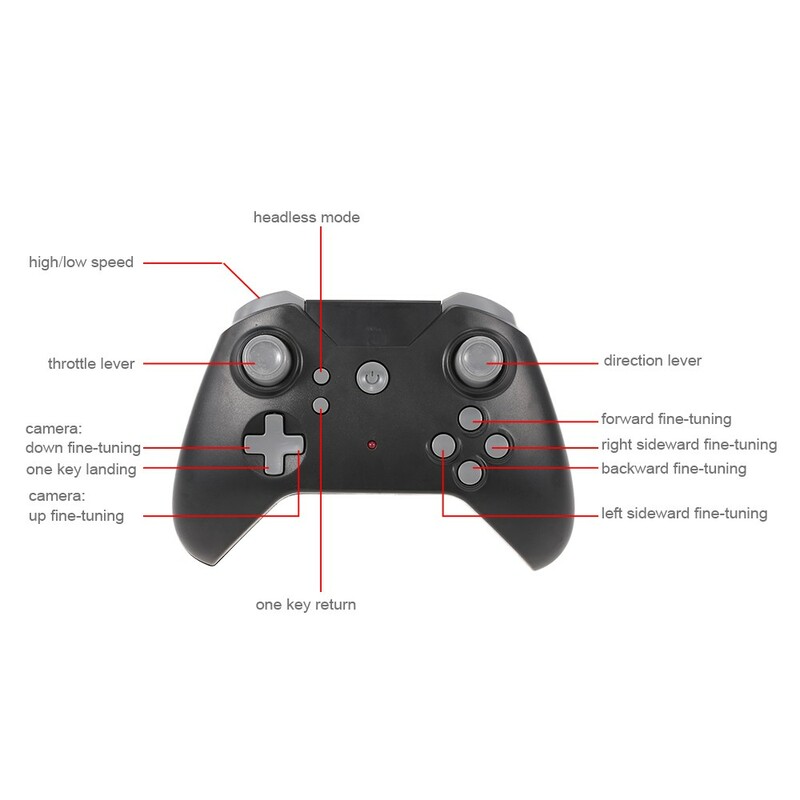 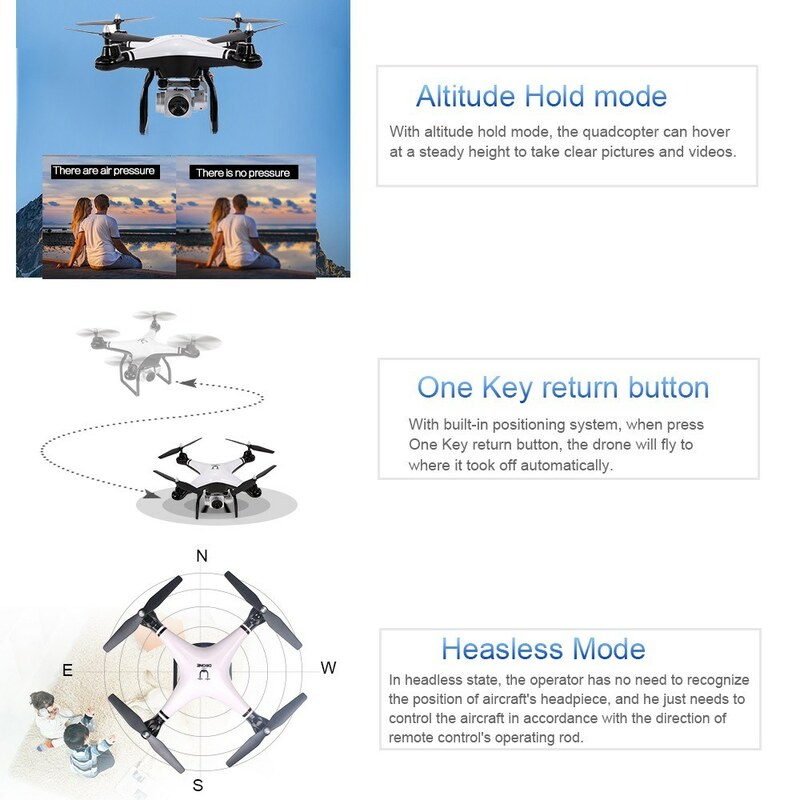 Altitude Hold mode, Headless Mode and One Key Landing/Return make it easier to control the drone for beginner and more stable for aerial photography. 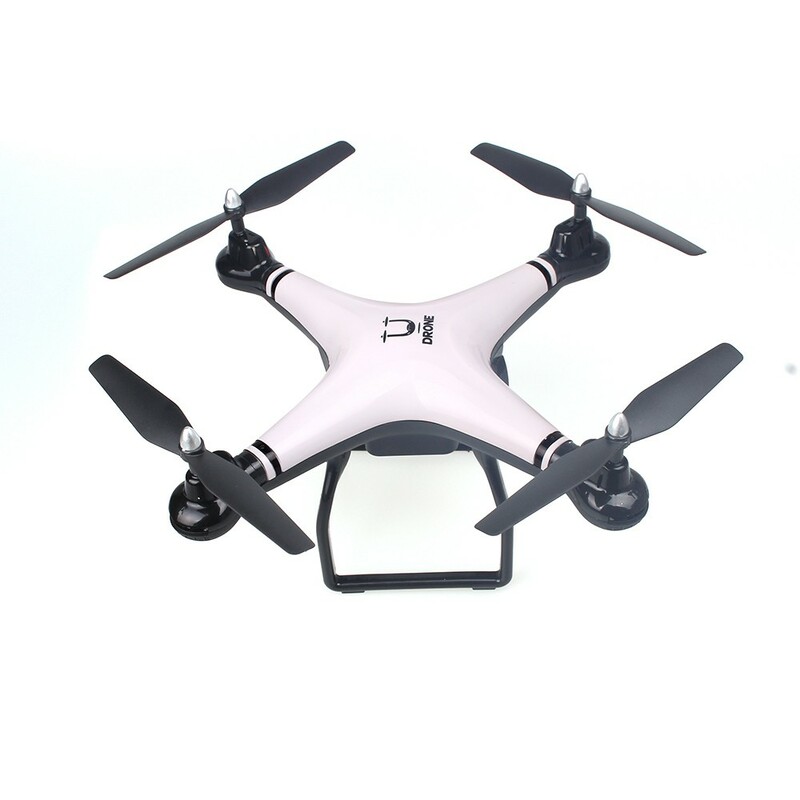 With 3.7V 1800mAh Li-Po battery, the longest flying time can reach up to 22 minutes. 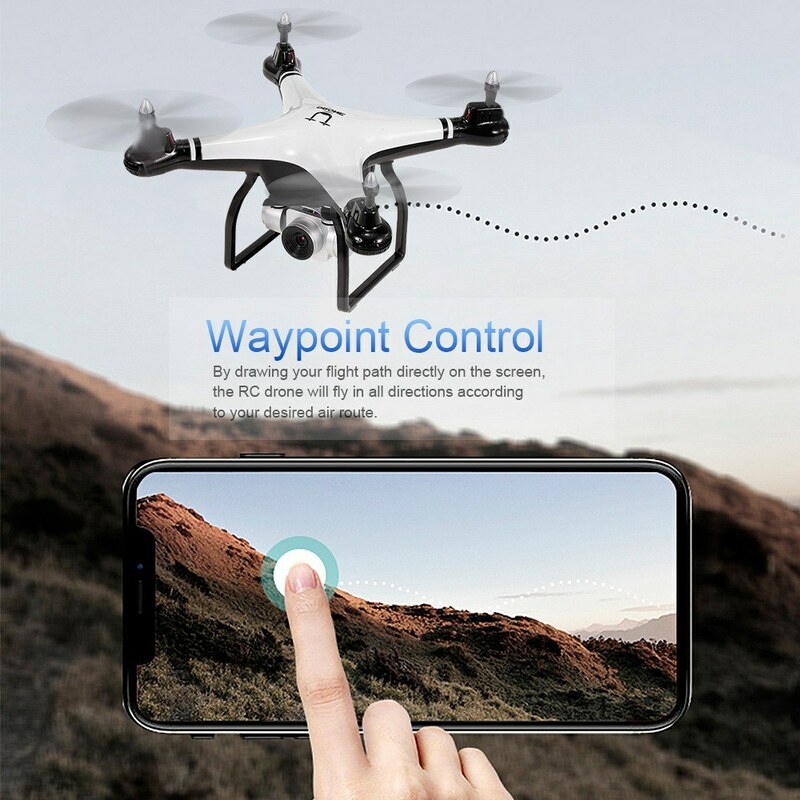 After connecting with your phone APP, you can use your voice to command the aircraft to takeoff/landing, turn left/right, move forward/backward. 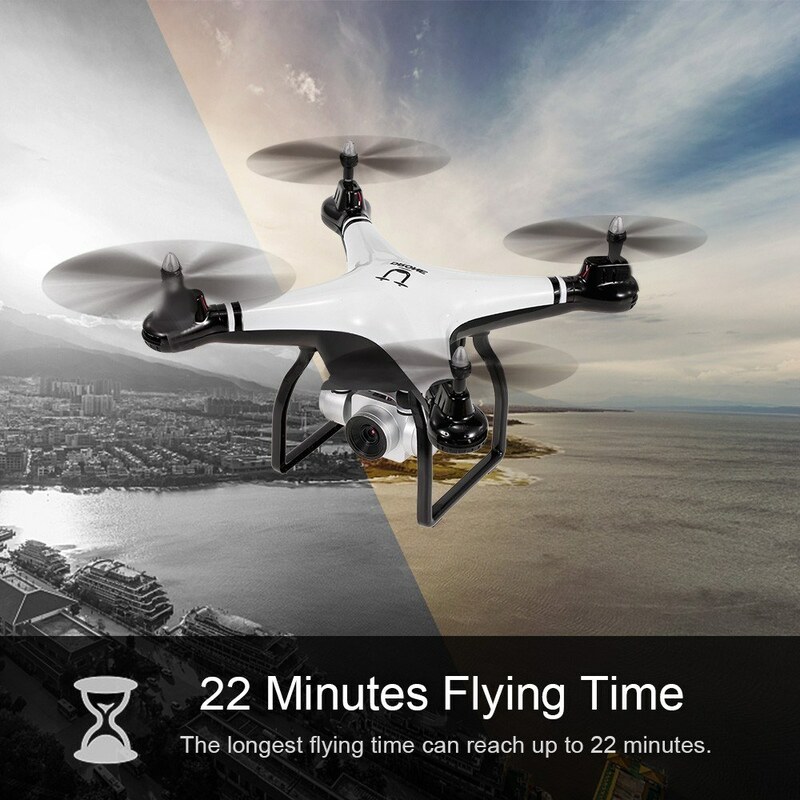 A Flying distance is 60m, thanks .